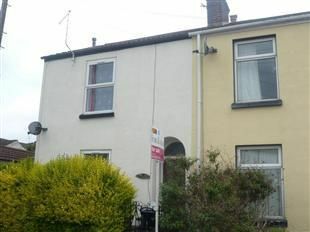 3 bedroom house situated in the popular residential area of Castle Street in the Inner Avenue. The property comprises two reception rooms, kitchen, downstairs cloakroom and family bathroom. An internal viewing via the agents is recommended in the first instance. Fox & Sons are delighted to offer for sale this 3 bedroom house situated in the popular residential area of Castle Street in the Inner Avenue. The property comprises two reception rooms, kitchen, downstairs cloakroom and family bathroom. An internal viewing via the agents is recommended in the first instance. Single panel radiator, stairs to first floor. Double glazed window to front elevation, single panel radiator, TV point, power points, coved ceiling, picture rail, ceiling light point. Double glazed window to rear aspect, single panel radiator, power points, textured ceiling, ceiling light point. Double glazed window to side elevation, stainless steel sink unit adjacent to work surfaces with cupboards and drawers beneath, further base and eye level units with integrated four-burner electric hob and oven, ceramic tiling to wash areas, boiler for domestic hot water and central heating, space and plumbing for washer/dryer, single panel radiator, power points, textured ceiling, ceiling light point. Low-level WC, pedestal wash hand basin, window to rear elevation, light point, door to garden. Access to loft space, power point, ceiling light point. Window to front elevation, radiator, power point, ceiling light point. Double glazed window to side elevation, single panel radiator, power points, ceiling light point. Double glazed window to rear elevation, radiator, power points, ceiling light point. Three-piece suite comprising panelled bath with shower attachment, low-level WC, pedestal wash hand basin, single panel radiator, extractor fan, ceiling light point. Courtyard to the front. The rear garden has a patio area immediately abutting the side of the property enclosed by brick walling.